Looks like some sort of peony. My grandmother grew a lot of them, but not quite like this. It looks like a variety of peony to me. 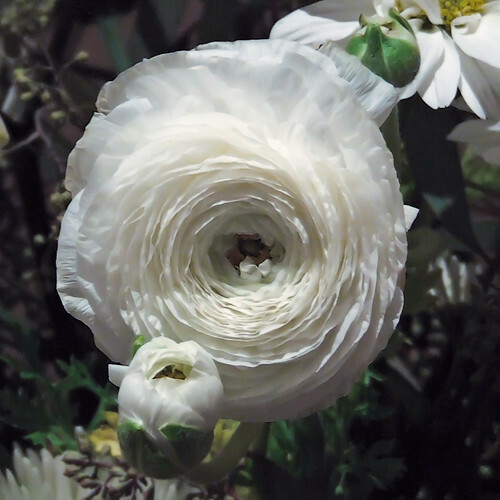 It looks like one from the Ranunculus family. They are grown from bulbs. Here's a pink one. Here are some oranges and yellows.